The Location of Graham-Newman LLC Chino off the Pomona Freeway on Central Ave in the Chino Towne Center. Omnibus’ Bus line #85 has a stop at Central @ Philadelphia Sb Fs, right down the street. Get picked up and dropped off at your leisure! This Graham-NewMan LLC Chino is in the Chino Towne Center Plaza and neighbors a variety if shops and eateries. Looking for Auto Title Loans in Chino? Come to LoanMart! If you’ve run into financial difficulty, you may need tools to be able to turn things around. If you have poor credit, this may prove to be quite difficult. 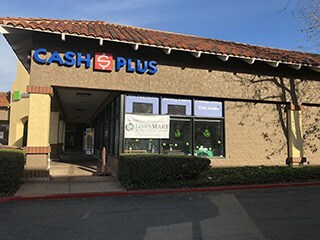 LoanMart can help, just like they’ve helped thousands of customers with poor credit receive often up to $30,000 in financial assistance since opening doors in 2002. An auto title loan is somewhat different from a typical loan. LoanMart is less concerned with your credit rating and more interested in your income, your ability to make monthly payments, and your vehicle’s equity. Find out more details below. It is completely free to apply for a LoanMart auto title loan in Chino. Plus, there’s no obligation to continue with your loan if you do qualify. The way LoanMart sees it, everyone deserves the chance to make an educated decision. Come make yours. Begin Applying for an Auto Title Loan in Chino Today! Once approved, your LoanMart agent will converse with you and walk you through the process of obtaining your auto title loan money, courtesy of LoanMart and Graham-Newman LLC Chino. Don’t wait another second! Apply for the funding you need with a title loan from 800LoanMart today!